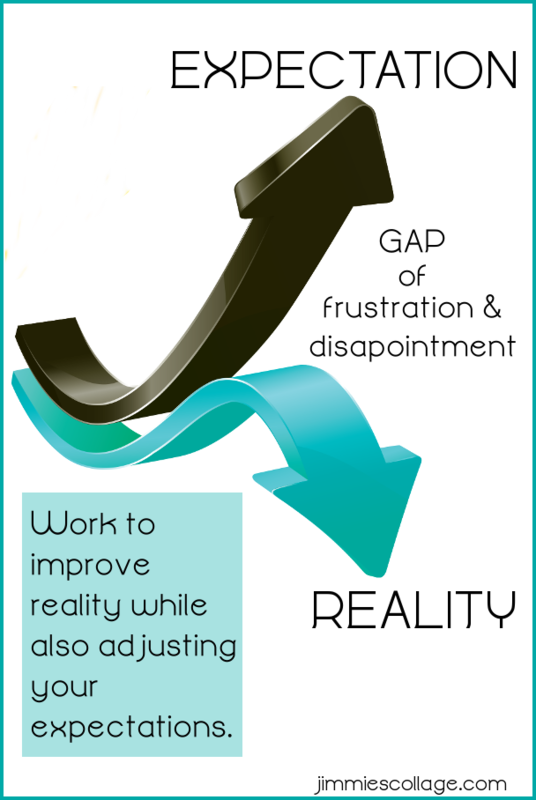 Disappointment and frustration come from that gap between reality and expectation. So to minimize disillusionment, you can work to improve reality while also adjusting your expectations to come more in line with what is likely to actually occur. Both go hand in hand. Don’t give up and resign yourself to not making enough money as a work at home mom or to a house that’s an utter disaster with frozen pizza being the norm rather than the exception. 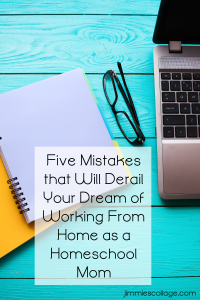 But also don’t hold onto an illusion that the work will always be enjoyable, plenty, and fit perfectly into your schedule while your kids magically do their chores and schoolwork in the background. Holding onto an illusion will be a constant source of irritation and a sense of failure. Just give it up. And please realize that comparing yourself to another homeschooling mom who works from home is another way of holding onto an illusion. You may think you know what her home and work situation is like, but you don’t. And even if you somehow could know —really know—, your circumstances are different. Her successes may or may not fit your particular mold. Watch others and learn from them, but never rank yourself in comparison. There is a lot out there about growing your business, managing social media, blogging, creating digital products, and so on — the money making side of being a WAHM. 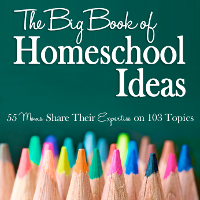 And there’s plenty available about menu planning, chore systems for kids, and other tricks for managing a home. This post isn’t about the working to improve reality side of the equation. This post is about expectations. 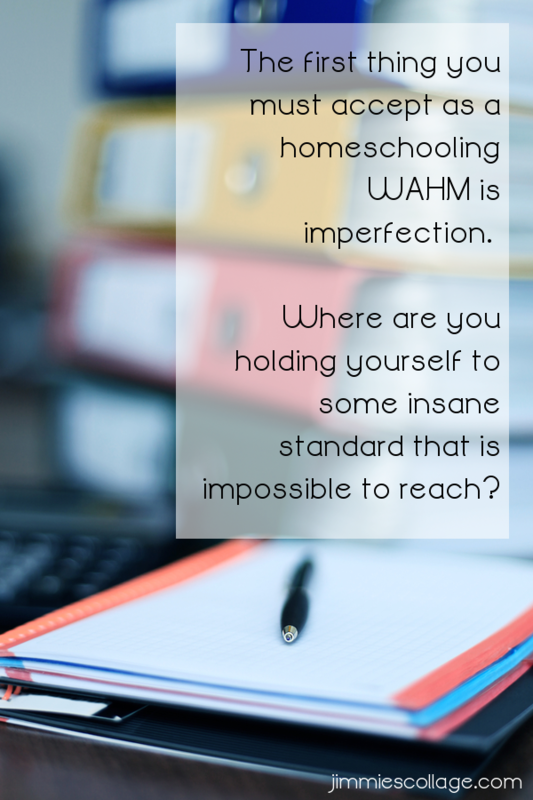 The first thing you must accept as a homeschooling WAHM is imperfection. 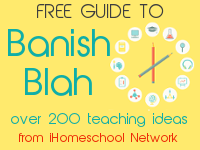 Even if you are “freakishly efficient” (as my daughter describes me), you will drop balls. I’m not talking about missing deadlines or backing out of projects that you committed to. Those types of irresponsible behaviors will ruin your business. Those are non-negotiable. Your work reputation must be protected at all costs. And, yes, that means that work comes before home and family at times. When you are up against a deadline, that’s the perfect night to serve frozen pizza and put on a movie —guilt free. I’m talking about letting go of perfectionism. Submitting that great article versus spending another hour making it epic. Choosing the first acceptable graphic you find versus spending another 15 minutes hunting for one just a little bit better. Making one functional and attractive layout versus creating five alternative layouts just in case the client/reader might have a special need. Deleting those drafts that have languished in your WordPress editor for over a year and are making you feel like a blogging failure. Setting a couple of social networks on auto-pilot while you focus on the one you are trying to build. Accepting the sink of dirty dishes and the less than spotless floors as the norm. Letting the kids make their own lunches (and yours!) and clean up after themselves. Take a hard look at what you are expecting of yourself. Where are you holding yourself to some insane standard that is impossible to reach? (And don’t say “Well, so and so reaches that standard!” Don’t compare. This is about you.) If there’s a trouble area that is constantly nagging at you, take a hard look at it. Do you need to work harder to change reality? Invest in a tool to help? Discipline yourself (or your kids)? Or do you need to change your expectation? Accept great instead of holding out for perfection. Let the entire thing go. Maybe you don’t need a Facebook/Twitter/G+/Periscope/YouTube presence. Plan a simple birthday celebration with a store bought cake. Stop reading magazines and browsing Pinterest if it makes you feel like a homemaking failure. Often the answer is to do a little bit of both — work to move reality closer to a new, lowered but more realistic expectation. 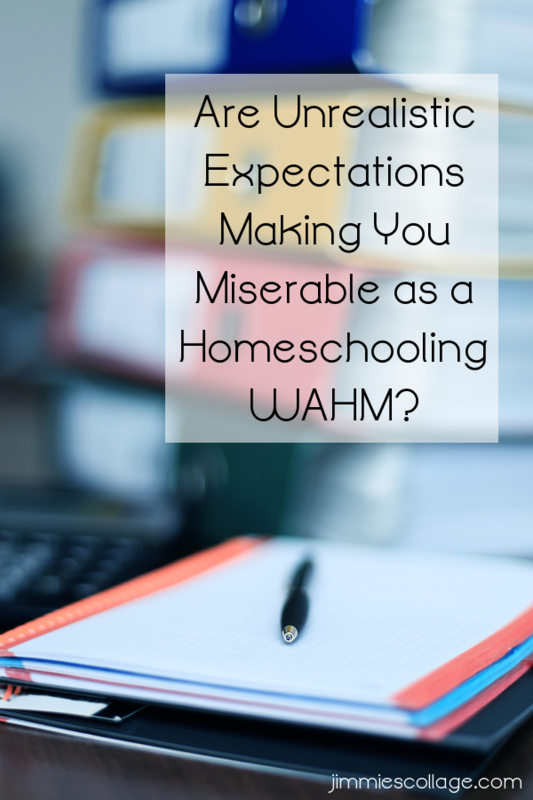 When you can reduce or erase that gap between expectation and reality, you will see more contentment in your life, and your dream of being a work from home homeschooling mom can happen. 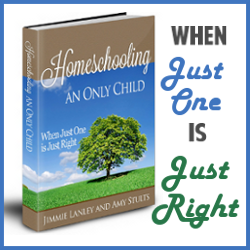 A big key to success as a working from home homeschooling mom is knowing when to say no. How does this fit into expectations? We type-A go-getters tend to have unrealistic views of what we can accomplish. We take on a superhero or martyr complex, adding on tasks and responsibilities until we are overly burdened and angry. We think, “Oh, that’s easy! I can do that.” And we sign up. Yes, the task itself may be easy. But fitting it into your already cramped work and homeschooling schedule is not. Our expectation is unrealistic. So learn to say no liberally and without guilt. I promise you that turning down a project or opportunity garners you far more respect than saying yes and doing a mediocre job, missing deadlines, or (worst of all) backing out entirely at mid-stream. I know this because in my own work, I often recruit other WAHMs to help me with different projects. Sometimes a mom is full of excitement and ideas at first, but then she drops off the face of the earth. When I finally hear from her, she admits that she is in the midst of a cross-country move, her parent has an ongoing health crisis, and her child has some special needs that take a lot of time. I’m left scratching my head at how this mom ever said yes to the project. What was she thinking? None of these were sudden crises that threw a wrench in the plans. These were ongoing or expected events that this woman blindly ignored because of unrealistic expectations of what she could accomplish. No one can set these realistic expectations for you. It’s one of those soul searching tasks that you have to do for yourself. What are you willing to let go? What are you willing to fudge on? What are your trouble areas and blind spots? If you aren’t willing to make any adjustments in your expectations, get ready to work insanely hard to the point of burning out, harming your family, and impacting your health. Sometimes it takes a drastic life change for us to understand that our perceptions must change. I encourage you to adjust your expectations before that crisis happens. There’s no need to suffer with disappointment in the meantime. While you are adjusting your own personal expectations, how about cutting your children some slack too? They are going to make messes, need help with math problems, and get into squabbles. Absolutely you need to train them towards learning independently, doing chores, and being responsible people overall. But if you have a house full of little children, your work at home time is going to be very limited compared to a mom of teens. No, don’t start comparing yourself to other moms! I’m simply pointing out that younger children need a lot more direct mommy time. When you are setting your work at home expectations, realize that you may have to postpone some of your work goals until your children are older. In my case, I started out small, blogging for fun during the years when Emma needed the most one-on-one time. Now that she’s in high school, she needs virtually no help with school, and I’m free to work full-time from home as the breadwinner. This was a gradual shift over the years. Expect that your work at home routine will change as your children mature and don’t underestimate the amount of time you must invest in them during the baby/toddler years and those elementary school years when they need quite a bit of direct instruction and monitoring. Wow! This was right on time. Thank you. This is spot on Jimmie! I have found that it is SO easy to say yes, when we NEED to say no. Great article! Love this! The more ambitious among us tend to have trouble with no for a while… until we realize how incredibly FREEING it is! 🙂 Thanks for a great reminder. I am sending this to a friend today! 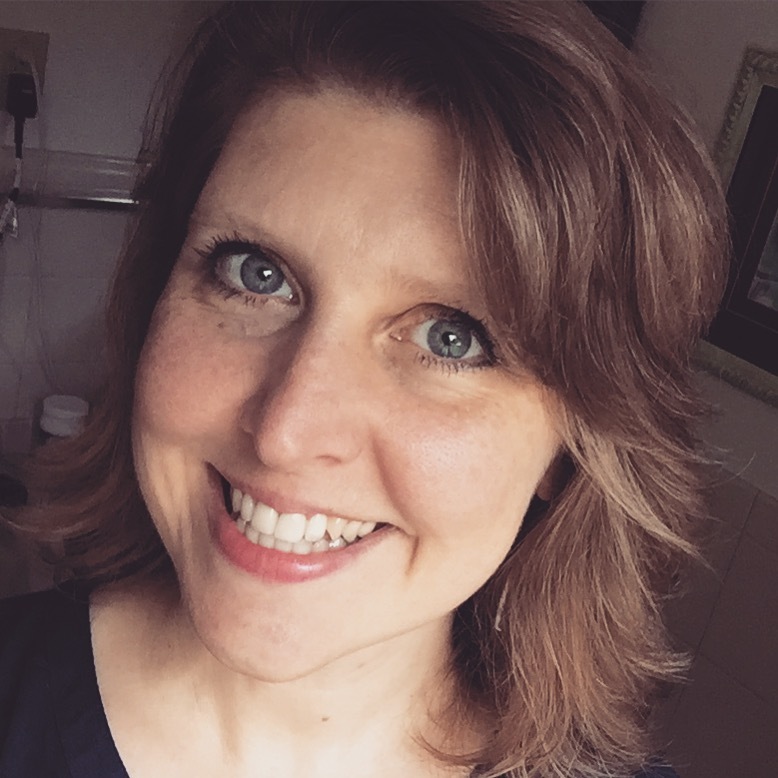 She and I have both been working homeschooling moms and I have found myself both needing the encouragement to have more discipline and the encouragement to relax and let stuff go (sometimes at the same time!) Thanks.